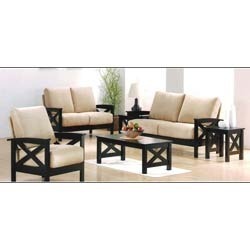 Pioneers in the industry, we offer wooden sofa set, carving dewan small wooden and wooden frame sofa set from India. 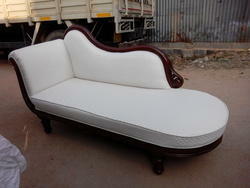 We are actively engaged in manufacturing, wholesaling and retailing Wooden Sofa Set. These sets are manufactured employing latest machines following latest market trends. To cater to the variegated requirements of esteemed customers, we offer these sets in diverse designs, patterns and sizes at industry leading rates. We are a coveted organization that is engaged in manufacturing, wholesaling and retailing a vast array of Carving dewan small Wooden. The offered range is designed and manufactured using high quality wood that is sourced from vendors of high repute. Furthermore, we customize these products on the basis of the specifications detailed by customers. We are a coveted organization that is engaged in manufacturing, wholesaling and retailing a vast array of Wooden Frame Sofa Set. The offered range is designed and manufactured using high quality wood that is sourced from vendors of high repute. Furthermore, we customize these products on the basis of the specifications detailed by customers. Packaging Details: This Product is well packed with Corrugated sheet to avoid damages during transport. Looking for Wooden Sofa Set ?